need to have a supply of food and water in case the unimaginable occurs. However, as with everything else, there’s a right way and wrong way to build this supply. Letting the stockpile languish means food and water can expire, creating waste that will be of no help when you really need it. Instead, employ tactics that ensure you won’t waste the food – and, by proxy, waste your hard-earned money. of use to you if the power and water supply goes out. 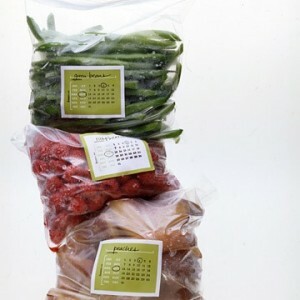 If your main concern is just getting items on sale, then use your freezer to its full advantage, noting that frozen foods can still expire – uncooked poultry lasts for nine months, seafood lasts three to six months, and uncooked red meat is good for four months to a year, depending on the variety. If your aim is to stockpile for a potential disaster, though, focus on building up a supply of nonperishable items. Mark the expiration date of each piece of food you stockpile – after all, expired food doesn’t do you any good. When the expiration date draws near, pull it out of the stockpile and feed it to your family. Even water can go bad because the plastic bottles break down. Rotate in a fresh version of that food, ensuring that if you need to dig into your stockpile, it won’t be wasted, bad food. allow bacteria to grow, making the food unsafe to consume. you might need to pitch the food – E. coli and salmonella could lurk within. items out of the stockpile. That means that if no one in your family would dare touch those green beans outside of a catastrophe, it’s simply wasted money. Kelsey Castle is a freelance writer and editor who focuses on home and business topics, including handling negative Google reviews. She has a degree in journalism. 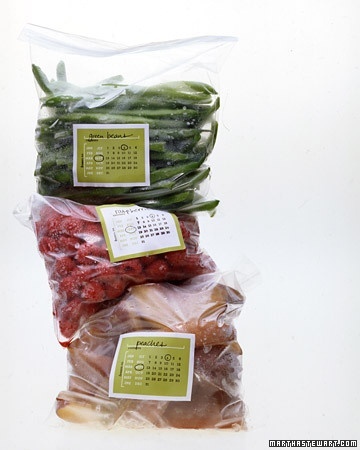 « Freezing Perishables: How Long Will Everything Last?